This is very unfortunate, #422 R.I.P. Still, I find it strange that the mirror would pop out, like you say it did. You see, the mirror is secured by several of retaining brackets, besides that it is made of flexible material, plastic. 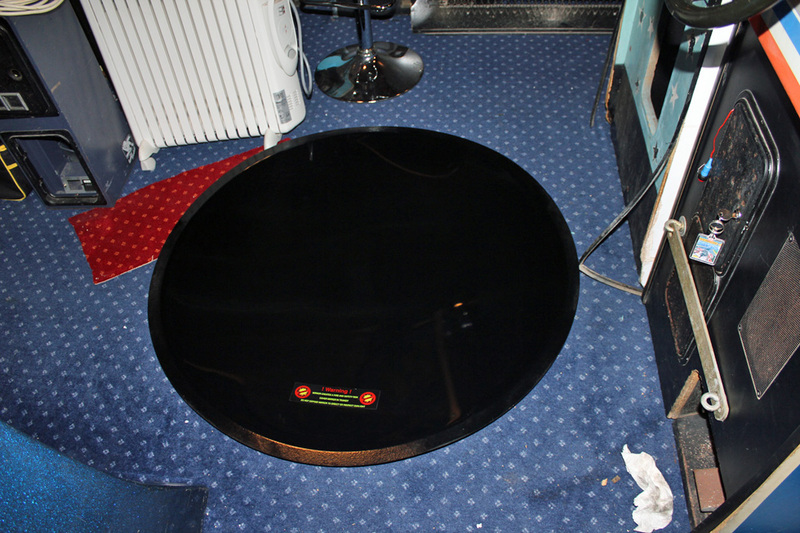 So it should withstand any bumps in the road and impacts from sides while in transit, even on its back with mirror weight 'backwards' (cabinet orientationwise). Provided that it was properly secured and mounted from start. Also, I would imagine that if, I say *if* there was a crack already in the plexi it could have been displaced slightly, and thus crumbled during impact. It was the fact they had it facing the wind... The sheer amount of force from the wind blowing into it on the open pickup track shattered the dome... They were idiots and not thinking or listening to what I told them to do. 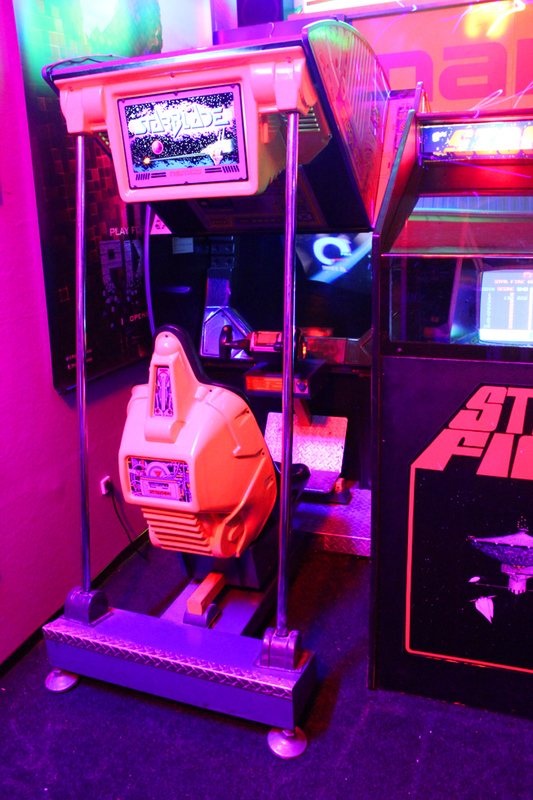 I still have lots of spare parts, mine is currently running in a small arcade in Huntsville Texas, we have the extra parts in storage if anyone needs something let me know. Well that is just awesome, Guruguys. Both things actually, that someone can be that idioitic and still maintain a driver's license. And, that your Starblade is out on operating in 2014. That proves what quality game it really is. If I had a beer in front of me right now I'd drink to you and your Starblade. Please if you could put up a photo of it here. I'd love to see it. 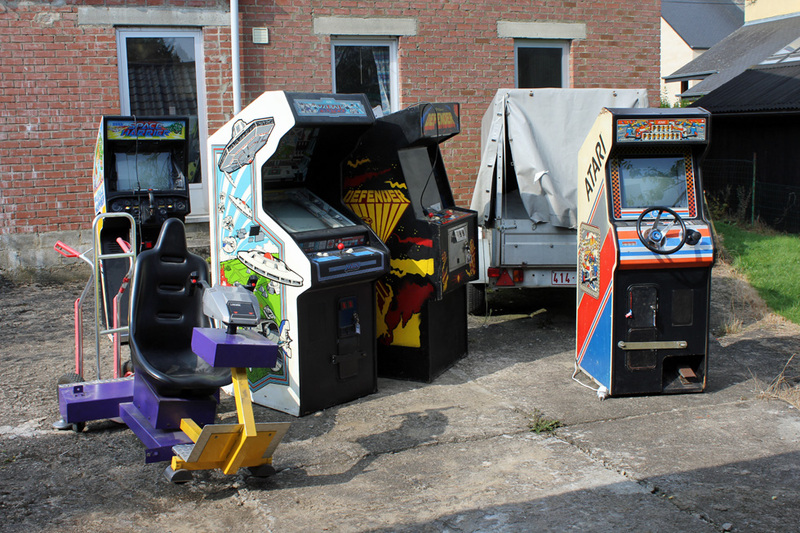 The arcade is moving to a larger location in a few weeks, once it is at the new location I will be sure to get a few pics of it in action and post it here. 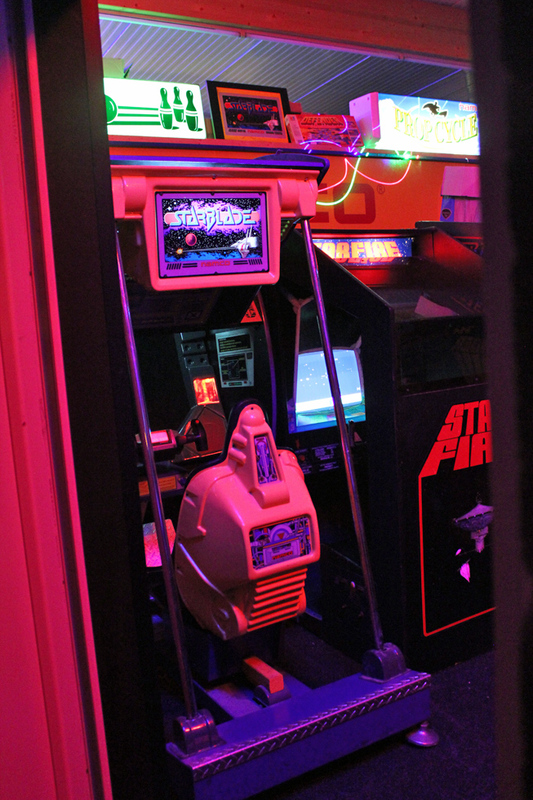 Retro arcades seem to be a really good draw locally, there is a game place near downtown Houston that opens twice a month on Friday nights and is always jam packed, and there is the Houston Arcade Preserve which seems to be doing well. 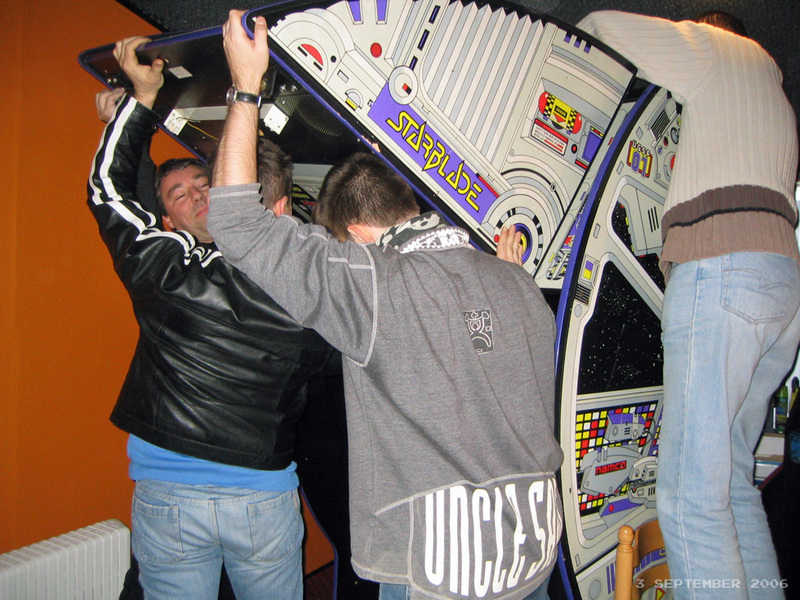 I imagine we will see more 'retro' arcade places open up in the coming years. The Arcade mine is in is located in Huntsville Texas about an hour North of Houston. He is opening on the weekends and it has been busy enough for them to get a location twice the size and get more games. Fun times! Well... since I extended my game room ( V2 and V3), I always wanted to move biggest games into the biggest room3! 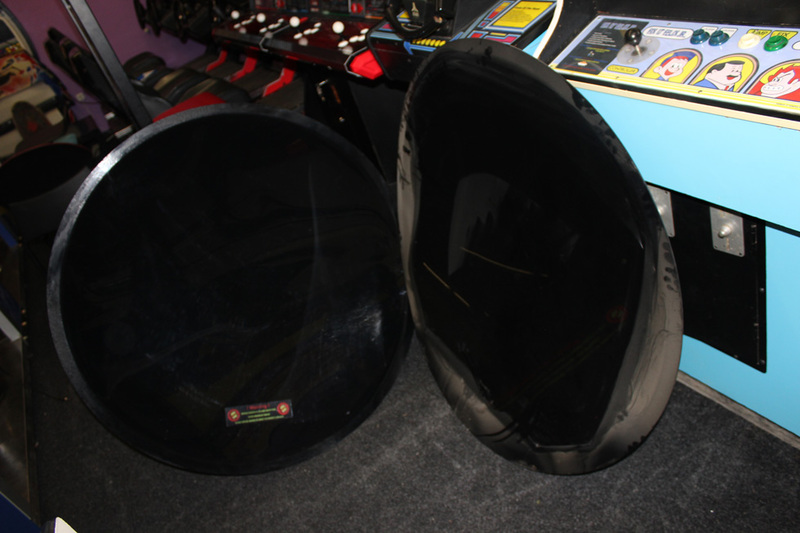 In addition, what could be a better location for a Starblade than being close to his brother...the Galaxian Theater, yes you named it! ...but, back in 2006, I remember that nightmare to move it there!!! ...and I promised myself that I'll never move it again!!! But let's face it, that Starblade is one of the biggest games I own and its current location (V1 room) is the smallest room... I NEED to move it to the biggest one, the V3! ...and the brothers are finally reunited! 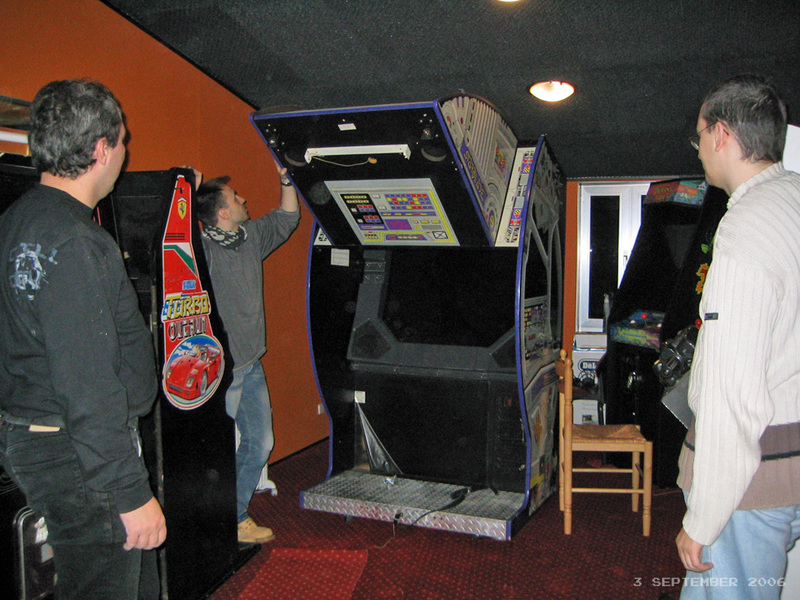 StarBlade & Galaxian3 togheter in the same room!